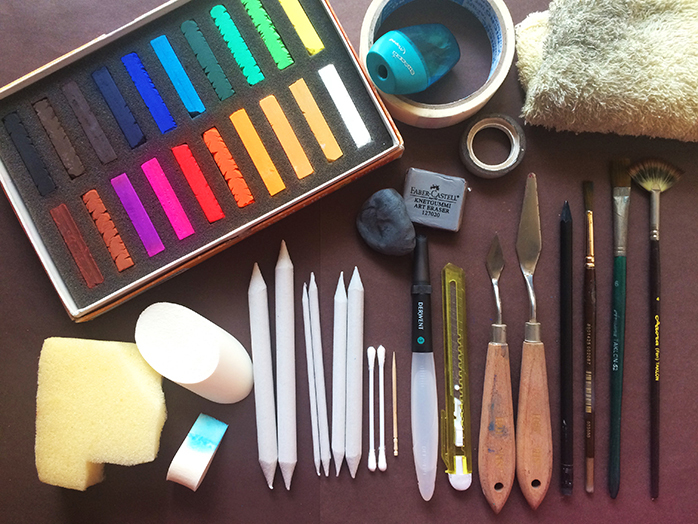 In the beginning of pastel painting Artists often get intimidated by tools required. But there is no need to worry as one can quickly learn how to use tools by experimenting and practicing. To start with you will need a set of minimum 12 to 48 colors. There are many brands of pastels available in sets starting from 3-6 colors. You can buy according to requirement of color palette.